The Internet is an amazing tool. It has the power to change the way we live, and we’re starting to see that potential today. With only a few mouse-clicks, you can follow the news, look up facts, buy goods and services, and communicate with others from around the world. It is important to The Writing Nook to help our customers retain their privacy when they take advantage of all the Internet has to offer. We believe your business is no one else’s. Your privacy is important to you and to us. So we’ll protect the information you share with us. To protect your privacy, The Writing Nook follows different principles in accordance with worldwide practices for customer privacy and data protection. We won’t sell or give away your name, mail address, phone number, email address, or any other information to anyone. To help you quickly find articles, services or information. To alert you to product upgrades, special offers, updated information and other new services from The Writing Nook. If you choose not to register or provide personal information, you can still use most of www.awritingnook.com.au but you will not be ableto access areas that require registration. If you decide to register, you will be able to select the kinds of information you want to receive from us by subscribing to various services, like our electronic newsletters. If you do not want us to communicate with you about other offers regarding The Writing Nook products, programs, events, or services by email, postal mail, or telephone, you may select the option stating that you do not wish to receive marketing messages from The Writing Nook. View and edit personal information you have already given us. Tell us whether you want us to send you marketing information, or whether you want third parties to send you their offers by postal mail. Sign up for electronic newsletters about our services and products. Register. Once you register, you won’t need to do it again. 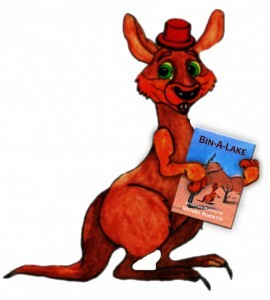 Wherever you go on www.awritingnook.com.au, your information stays with you. The Writing Nook has taken strong measures to protect the security of your personal information and to ensure that your choices for its intended use are honoured. We take strong precautions to protect your data from loss, misuse, unauthorized access or disclosure, alteration, or destruction. In addition, your transactions are guaranteed under the Trade Practises Act. This Act states that your bank cannot hold you liable for more than $50.00 in fraudulent credit card charges. If your bank does hold you liable for $50.00 or less, we’ll cover your liability provided the unauthorized, fraudulent use of your credit card resulted through no fault of your own and from purchases made from us over our secure server. In the event of unauthorized use of your credit card, you must notify your credit card provider in accordance with its reporting rules and procedures. The Writing Nook strictly protects the security of your personal information and honours your choices for its intended use. We carefully protect your data from loss, misuse, unauthorized access or disclosure, alteration, or destruction. Your personal information is never shared outside the company without your permission, except under conditions explained above. Inside the company, data is stored in password-controlled servers with limited access. Your information may be stored and processed in AUSTRALIA or any other country where The Writing Nook, its subsidiaries, affiliates, or agents are located. When you buy a new product, we may ask you to register your purchase electronically. When you do, we merge your registration information with any information you’ve already left with us (we call that information your personal profile). If you haven’t previously registered with us, we create a personal profile for you from your product registration information. If you ever want to review or update that information, you can visit the Profile Centre, click on Update Profile, and edit any of the Personal Information in your profile. If you haven’t already created a Registration ID, we will ask you to do so. This ensures that only you can access your information. When you register, we create your profile, assign a personal identification number, and then send this personal identification number back to your hard drive in the form of a cookie, which is a very small bit of code. This code is uniquely yours. It is your passport to seamless travel across www.awritingnook.com.au, allowing you to download articles, order free newsletters, and visit premium sites without having to fill out registration forms with information you’ve already provided. Even if you switch computers, you won’t have to re-register – just use your Registration ID to identify yourself. When you join us, you provide us with your contact information, including your name and email address. We use this information to send you updates about your order, questionnaires to measure your satisfaction with our service and announcements about new and exciting products and services that we offer. When you order from us, we ask for your credit card number and billing address. We use this information only to bill you for the product(s) you order at that time. For your convenience, we do save billing information in case you want to order from us again, but we don’t use this information again without your permission. We occasionally hire other companies to provide limited services on our behalf, including packaging, mailing, and delivering purchases, answering customer questions about products or services, sending postal mail and processing event registration. We will only provide those companies the information they need to deliver the service, and they are prohibited from using that information for any other purpose. The Writing Nook will disclose your personal information, without notice, only if required to do so by law or in the good faith belief that such action is necessary to: (a) conform to the edicts of the law or comply with legal process served on The Writing Nook or the site; (b) protect and defend the rights or property of The Writing Nook and its family of Websites, and, (c) act in urgent circumstances to protect the personal safety of users of The Writing Nook, its Websites, or the public.